The phenomenon of presenting a memorandum at the Blue Gate introduced by the students’ organization caught the imagination of the public,and it almost became a regular feature in the sixties and early seventies. In the early nineties, presenting memorandums at the UN office pickedup immensely with thousands of people often marching to the Blue Gate, and presenting a plethora of memos calling upon the world leaders to see the UN resolutions on Jammu and Kashmir executed in letter and spirit.Perhaps the last memorandum was presented at the gate by the Hurriyat Conference in 2008 when more than a million of people had marched towards the UN office. The march was halted at the Tourist Reception Centre. Nonetheless, from the day the UN office was set up in Srinagar, people have been endeavoring to reach out directly to the military observers. In 1948, two women officers Begum Birjis Abdul Ghani, and Begum Musarrat Showkat Ali were arrested to prevent them meeting the UN official and presenting a fact-sheet about Kashmir situation. On the orders of Prime Minister, Sheikh Abdullah they had been sent to notorious Bahu Fort in Jammu. 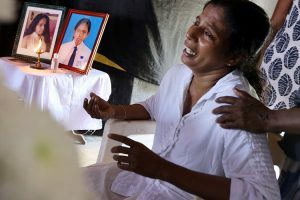 The effort to reach out to the United Nations by knocking at the Blue Gate most of the times was at a very heavy price of suffering baton charges, tear smoke and bullets. Nothingwas known about the fate of these memorandums presented to the UN office in Srinagar, whether these were at all passed on to the Secretary-General or not. Nevertheless, with the birth of microblogs like the Facebook in 2004 and the Twitter, the whole idea of knocking at the blue gate for sending a memo to the Security Council or petition to the UN Human Rights Commission has drastically changed. Now, these offices can be reached out in a fraction of second with the click of a button and one-word #Kashmir is out and out a reminder to the highest office about it having pushed people of the state into a morass of uncertainty and failed in seeing them out of it. In a population of 16 million, just few hundred individualshave taken to the microblog Twitter for articulating their concerns aboutdark laws in force in the state.Pelleting childrenwith blindness and causing an ‘epidemic of dead eyes’ in the state. Protesting against strangulating the voices of disagreement and shrinking space for freedom of the expression. Nevertheless, it is quite discernable with people more particularly younger generation taking to the microblogging or alternative media it will not be possiblefor the hegemonic forces to pass the contorted or alternative narrative as the historical realities for hoodwinking the world opinion. Just a week back the classical example was that of the third generation Abdullah going to theUniversity OfBerkeley UniversityUSA witha bag full of distortions and hegemonic discourses. The Institute for South Asia Studies had sponsored the program,andthe target audience was students. Such programs are not always fair academic engagements but have much more to them. The event in old times would have passed without any ado. The hegemonic discourse with all its distortion would have passed as historical realities. Moreover, the conjured narrative would have been believedto be thepeople’s narrative. 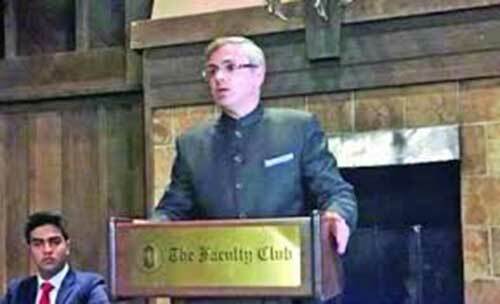 Nonetheless, because of microblog posts and online campaign by Kashmir academia and schools, a big question mark was put on the Berkley University inviting him and ‘masquerading’ him as representative of the people. In this column, I am not commenting on Abdullah inviting heckling at the venue by challenging the identity of Kashmiri from the downtown Srinagar family,ironically known intimately to the three generations of Abdullah’s. I will not be commenting on; whether or not Kashmir Diaspora were serious in about taking him to the International Court of Justice for the 2010 killings- the cry that echoed at the venue. Equally, I am not interested in his tweet that hehad a “great session” at the Berkley University. Interestingly, the Afridis appear in Muzaffarabad one month after Nehru got Abdullah release for enlisting his support for the accession of the state with India. So Omar Abdullah plays a wrong ball when he asserted at Berkley University that landing of Indian troops in Srinagar and Maharaja acceding happened because of Afridi. The whole drama of the Afridis is linked to the Poonch rebellion; this has been fully documented by the Alastair Lamb and Christopher Snedden in their exhaustive books on happening in Jammu and Kashmir in 1947. There is a lot more to the story that demolishes Abdullah scion’s ‘Dominant Discourse’ at Berkley.